You will find 1-4 bedroom houses in facebrick or plastered finish, sold via Own Title or on a Life Right basis in this George Retirement Village. There are also Assisted Living Flats, Frail care accommodation and Sub-Acute care in this well established Retirement Village group. Groenkloof George Retirement Village has a proven track record with the Great Brak and Reebok (near Mossel Bay) villages being completed, well established and financially sound. The retirement village consists of a friendly community and boasts beautiful views over the Outeniqua Mountains. The modern Care Unit has the latest technology. Though the facilities are state of the art, the difference lies in the excellence of quality, loving and heartfelt care. 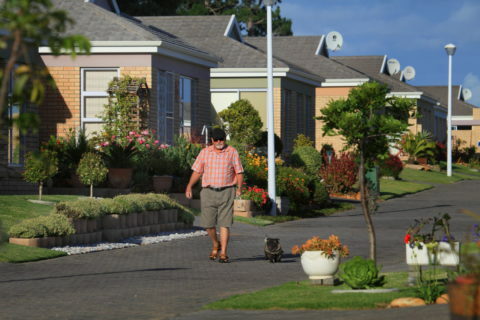 Gated community living and retirement villages in George, Reebok and Great Brak River. The retirement concept of Groenkloof Developments is providing a proven record of sustainability, value and peace of mind during a time in your life that you need it most. string(36) "Groenkloof George Retirement Village"
string(1657) "Groenkloof George Retirement Village is the number one retirement brand in the Southern Cape You will find 1-4 bedroom houses in facebrick or plastered finish, sold via Own Title or on a Life Right basis in this George Retirement Village. There are also Assisted Living Flats, Frail care accommodation and Sub-Acute care in this well established Retirement Village group. Groenkloof George Retirement Village has a proven track record with the Great Brak and Reebok (near Mossel Bay) villages being completed, well established and financially sound. 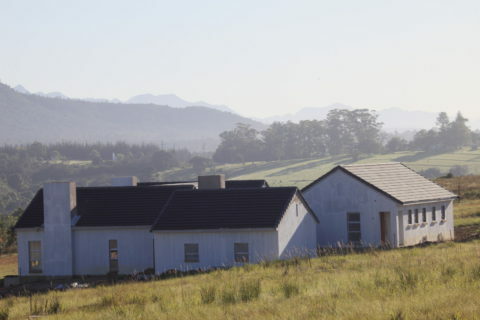 The retirement village consists of a friendly community and boasts beautiful views over the Outeniqua Mountains. The modern Care Unit has the latest technology. Though the facilities are state of the art, the difference lies in the excellence of quality, loving and heartfelt care. 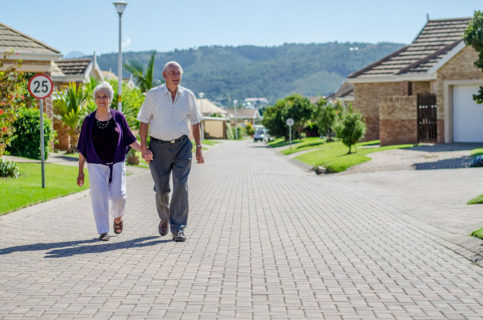 Groenkloof George Retirement Village is your answer when you are looking for: Gated community living and retirement villages in George, Reebok and Great Brak River. Frail care accommodation with excellent service at reasonable prices. Assisted living flats for the elderly who needs support with their health, safety and well-being. Senior estate living with large plots as well as full retirement village services. Key features of Groenkloof retirement villages are: Proven record of sustainable retirement villages and care unit. Low maintenance structures and stable low levies. Speak to our residents and vouch from their experiences. The retirement concept of Groenkloof Developments is providing a proven record of sustainability, value and peace of mind during a time in your life that you need it most." string(221) "This George Retirement Village offers bedroom houses in facebrick or plastered finish, sold via Own Title or on a Life Right basis in this. To find the best retirement villages in George and South Africa visit our website"
string(1797) "Groenkloof George Retirement Village is the number one retirement brand in the Southern Cape You will find 1-4 bedroom houses in facebrick or plastered finish, sold via Own Title or on a Life Right basis in this George Retirement Village. There are also Assisted Living Flats, Frail care accommodation and Sub-Acute care in this well established Retirement Village group. Groenkloof George Retirement Village has a proven track record with the Great Brak and Reebok (near Mossel Bay) villages being completed, well established and financially sound. 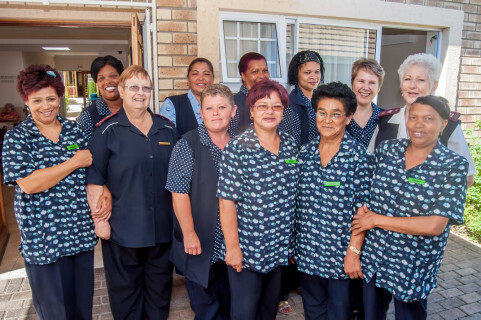 The Groenkloof George Retirement Village is well underway and the first 80 families have already moved in. This upcoming retirement village is becoming a friendly community and boast beautiful views over the Outeniqua Mountains. The modern Care Unit is opening on 15 July 2016 and will boast the latest technology. Though the facilities will be state of the art, the difference lies in the excellence of quality, loving heartfelt care. 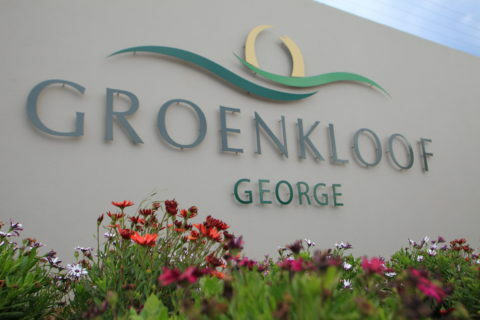 Groenkloof George Retirement Village is your answer when you are looking for: Gated community living and retirement villages in George, Reebok and Great Brak River. 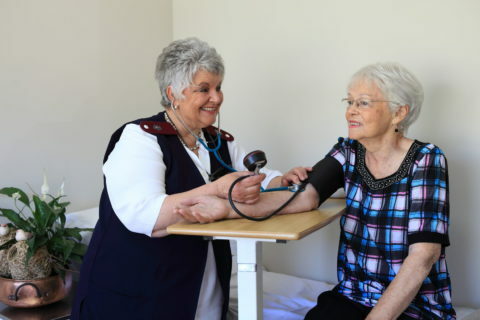 Frail care accommodation with excellent service at reasonable prices. Assisted living flats for the elderly who needs support with their health, safety and well-being. Senior estate living with large plots as well as full retirement village services. Key features of Groenkloof retirement villages are: Proven record of sustainable retirement villages and care unit. Low maintenance structures and stable low levies. Speak to our residents and vouch from their experiences. The retirement concept of Groenkloof Developments is providing a proven record of sustainability, value and peace of mind during a time in your life that you need it most." string(66) "Groenkloof Avenue Groenkloof George Retirement Village George 6530"
string(24) "Part of Community Centre"
string(27) "Yes, pet policy applicable." string(29) "Awaiting Go George approvals." string(22) "Lunches 7 days a week." string(38) "Gated community with electrical fence." string(36) "To be built as part of Gym facility." string(40) "Only for assisted living and frail care." string(16) "Yes to be built." string(25) "Part of Community Centre." string(36) "Available through service providers." Lunches 7 days a week. Gated community with electrical fence. To be built as part of Gym facility. Only for assisted living and frail care.